THE Oakleigh Chargers often had to change their side throughout the season, due to school commitments, injuries and rotation. But this enabled plenty of players to get a chance to experience football at TAC Cup Girls level. Despite only three wins for the season, two were by massive margins and the other was a tough slog near the end of the season. Hannah McLaren: The Oakleigh captain led by example throughout the season with aggressive tackling, clean hands and good ball-use in general. McLaren is also a strong marker of the footy, as she could intercept and control the play for her side. She could play anywhere throughout the season, often playing behind the ball to counteract opposition scoring. Her best work was arguably done in the midfield, where she would burrow into contests and also provide good run on the outside to assist her teammates. She is currently playing for Vic Metro in the AFL Women’s U18 National Championships. Gemma Lagioia: Lagioia often worked in tandem with McLaren to put pressure on the opposition midfield, tackling hard and winning the ground balls. She demonstrated a high footy IQ throughout the season, reading the play well and taking some nice intercept marks. Her long kick was crucial, as it gave her teammates chances to create scoring opportunities. Lagioia showed consistent hunger for the footy, demonstrated by her ability to go hard at the footy and win it cleanly. Daisy Bateman: Bateman was an exciting forward who came equal second in the TAC Cup Girls goal kicking tally. She had the highest average of the season, averaging two goals per game to register 14 goals from seven games. The highlight of her season was when she kicked five majors against the Bendigo Pioneers, being her dominant self inside 50. Bateman often demonstrated strong hands and her positioning inside 50 was outstanding. Her forward pressure was an asset of her game as was her ball movement. She booted a goal in Vic Metro’s first game of the AFL Women’s National Championships, getting her Nationals campaign off to a good start. Bridie Winbanks: Was not only a standout ruck for the Chargers, but was also a standout in the competition. Winbanks did well aerially to win the ball and also fought hard for the ground ball, showing constant fight to win the footy. She was able to tackle hard and used her long kick to get her teammates out of trouble. She has already had an opportunity to feature in Essendon’s VFLW side, competing hard in the ruck in new colours. Winbanks also made the AFL Draft Central Team of the Year, which was reward for a consistent year in the ruck. Katie Lynch: Lynch was a game-changer for the Chargers when she had the opportunity to play, often dominating through the midfield. Her strong hands were a huge asset in her game, as she was able to intercept or mark overhead which helped to open up play for her teammates. Her long kick can clear the ball out of congestion while her tackling is fierce and can give opposition midfields headaches. 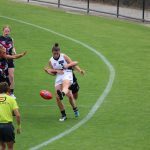 Lynch had a blistering start to the AFL Women’s National Under 18 Championships, displaying her eite ball use and high footy IQ which we became so accustomed to seeing during the season. A three-win season would not dishearten the Chargers, as they got the opportunity to unveil some wonderful young talent that will hold them in good stead for years to come. With just two of its six losses being over 50 points, it shows that Oakleigh have been able to keep in the contest for the majority of its games. With players like Alana Porter, Nicola Xenos and Alice O’Loughlin playing exciting footy and the side having a solid connection with Collingwood, the Chargers have a bright future ahead of them. GEELONG has booked a spot in the TAC Cup Girls grand final after they got the job done over the Northern Knights. Sandringham improved to six wins and two losses in season 2018 while the Dandenong Stingrays got over the line in a thriller over the Cannons. Although the season is coming to a close, the teams are still fighting hard to end their season on a high note. The Dandenong Stingrays kept their winning streak alive, but only just, as the Cannons fought hard all game to limit the victory to just two points. Although Dandenong had most of the play, their inaccuracy hurt them and nearly cost them the game. Captain, Jordyn Allen starred yet again for the Stingrays, creating her own wall behind the ball. She marked everything that came her way and moved the ball swiftly and cleanly. Down forward, it was Courtney Jones who was putting in the hard yards with plenty of forward pressure and a couple of goals. Tyanna Smith was important on the wing and through the middle of the ground, running hard throughout the night and using the ball well both by hand and by foot. The Cannons tried to nullify Allen’s impact through throwing star midfielder, Madison Prespakis up forward. Prespakis ended up making an influence herself, kicking two goals and doing all the nice things we have gotten accustomed to seeing from her. Her teammate, Georgia Patrikios played one of her best games for the Cannons all season. Patrikios laid damaging tackles, and her inside 50 pressure was fantastic. Georgie Prespakis starred in her second game for Calder, starring with a long kick that looks incredibly similar, and has the same damaging impact as her sister’s. A terrific performance by the Eastern Ranges has resulted in a 46-point victory over the Murray Bushrangers at Warrawee Park. 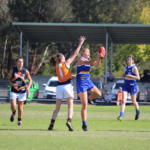 The Ranges were on top for the entire game and put in a four quarter performance, restricting the Bushrangers to just one behind – a late score in the final term – while booting seven goals themselves with seven individual goal kickers. The win means the Ranges will finish top four, having just two losses from eight games this season with one match to come. Mikala Cann put in a best on ground performance and was everywhere early, booting a sensational goal on the run under pressure to get the momentum flowing, then assisting in some more scores as she really stood out in the victory. Emerson Woods was strong early up forward, being involved in most passages of play with the co-captain impressing, as did fellow co-captain, Charlotte Wilson in defence. But it was the multi-pronged forward line that caused headaches for the opposition with Ashleigh Allsopp, Gabriella De Angelis, Jess Provan and Laura McClelland showing Eastern’s depth inside 50. 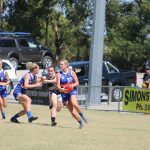 For the Bushrangers, the midfield of Millie Brown, Tamara Smith and Julia Harvey worked hard throughout without top star, Rebecca Webster, while Eloise Ashley-Cooper stood up in the absence of Grace Egan down back. Chelsea Knight also stood up in spite of a dominant Ranges’ midfield in what was a tough day at the office for the Bushrangers. 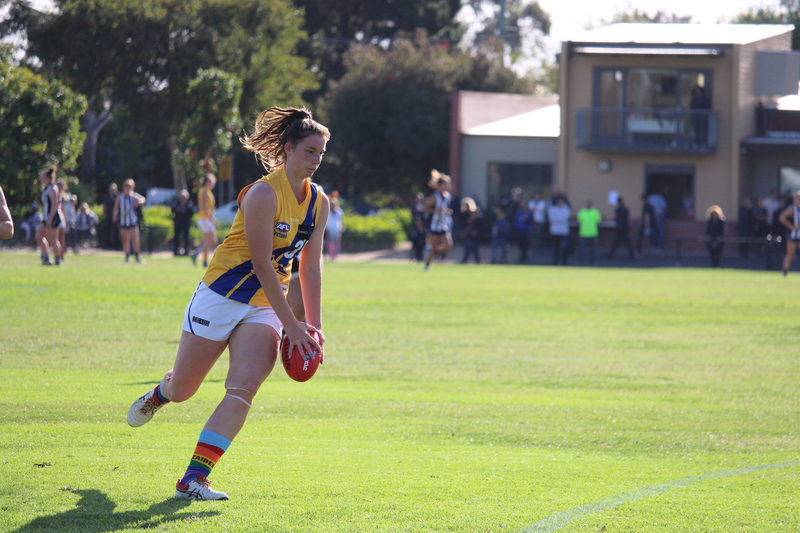 A three-goal performance by Oakleigh leading goalkicker, Daisy Bateman has helped the Chargers record a solid 15-point victory over the Western Jets at Warrawee Park to take out the inaugural Zaidee’s Cup. In a great initiative by the two teams, the players worse Zaidee’s Rainbow Shoelaces to help raise awareness for organ and tissue donation. On the scoreboard, Oakleigh proved too good early to boot five goals to one in the opening three quarters – including two opportunistic goals in the third term to Bateman – to secure the victory. The Jets booted two goals in the final term to reduce the final deficit. Bridie Winbanks was important in the ruck, while Alice O’Loughlin and Gemma Lagioia were crucial between midfield and forward for the Chargers. Captain, Hannah McLaren was strong in defence, in what was a great team effort for the Chargers who were missing Katie Lynch, Charlotte Moon and Nicola Xenos – three of their more consistent players – due to school football commitments, allowing others to stand up in their place. For the Jets, full-back Sharnie Whiting stood up against constant pressure, while Elisabeth Georgostathis was consistent once again with some strong tackles across the ground. Caitlin Gashi and Payton-Ani Ozols were also among the best for Western, while talls, Caitlin Greiser and Cleo Saxon-Jones got on the scoresheet. 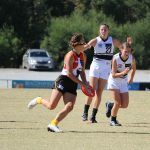 The Geelong Falcons made it eight from eight against fellow undefeated team, Northern Knights with an eight-point win. The Falcons came out of the blocks with a three goal to none first half, then the Knights fought back with a three goal to one second half. AFLW Academy members, Lucy McEvoy, Denby Taylor, Olivia Purcell and Nina Morrison were some of the best players on the ground yet again. McEvoy and Taylor held down the fort well in defence while Purcell and Morrison chased and tackled in the midfield. They were complemented by Zoe Inei in the ruck, who delivered some nice taps towards her gut-runners. In the forward line, it was Sachi DeGiacomi who put in all the hard yards to keep her side’s undefeated streak alive. 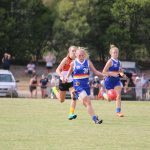 For Northern, midfielder, Marnie Jarvis found herself up forward on a couple of occasions, slotting through two of the Knights’ three majors. Gabby Newton was a star, this time in defence, proving she can play just about anywhere on the field. Young gun, Ellie McKenzie had another standout performance for the Knights, as did Nell Morris-Dalton. Other solid contributors included Paije Kearney and Ashleigh Snow. The Sandringham Dragons kept their slim TAC Cup grand final berth alive with a strong 71-point win over the Bendigo Pioneers at Trevor Barker Beach Oval on Saturday. The Pioneers got an early score, but after that moment they struggled to get the ball inside their half of the ground, as the Dragons dominated. Forward, Holly Bate booted five first half goals, eventually finishing the match with 7.2 and a set shot after the siren on a very very tough angle not scoring to finish the match. Eleanor Brown marked exceptionally well during the contest and was the best player on the ground, as a marking machine. Abbie McKay had a strong second half, while captain, Jemma Owen led from the front as always in the midfield. Despite not booting a goal, Megan Williamson was the Pioneers’ clear best, working very hard in the defensive half of the ground. Williamson hit up multiple targets on her left boot and competed well during the match. The Greater Western Victoria Rebels collected their fifth win of the 2018 TAC Cup Girls competition with a hard fought 14-point victory over the Gippsland Power at Trevor Barker Beach Oval on Saturday. The match started in overcast conditions, before the heavens opened for the next hour after quarter-time, with constant rain keeping the scoring close, making for a great contest. Georgia Clarke was exceptional across half back, rebounding the ball well, while Nekaela Butler was judged the Rebels’ best. Sophie Van De Heuvel booted the best goal for the Rebels, snapping truly in the second quarter – with the AFLW Academy member playing a good game as a high half-forward. For the Power, Tyla Hanks was the clear standout, tackling hard and winning the contested ball. Hanks had multiple inside 50s and showed why she is one of the leading performers from the TAC Cup Girls this season. 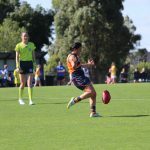 She also booted a great goal in the last quarter, keeping the Power in the contest – but ultimately they left their run too late, after trailing 16-2 at three-quarter time. WITH only three weeks left before the the grand final, there are plenty of new faces coming in for round seven along with some big time players that are also back in the mix. The Geelong Falcons and Northern Knights will be looking to keep their undefeated record in tact while the Eastern Ranges will be hoping to secure their spot in the top four. With Oakleigh notching up their second win of the season last week they will be hoping to bring that form into their round seven clashes. Both teams are coming off big round six wins, making for a hotly contested match between the two sides. The Oakleigh Chargers will be looking to make the most of their home ground advantage against the Stingrays. Unfortunately, they lose the likes of midfield duo, Alana Porter and Katie Lynch along with defender Nicola Xenos, who is a general down back for the Chargers. With two wins under their belt the Chargers will be looking to storm home and claim their third win of the season. The Stingrays claimed a 54-point win in last weeks’ match with the likes of Courtney Jones dominating up forward and slotting two majors while captain, Jordyn Allen imposed herself in and around the contest. But Dandenong will be missing the class of AFLW Academy forward, Brooke Struylaart who has gone down with an injury, making for an interesting clash on Saturday. With three wins each, both the Greater Western Victoria (GWV) Rebels and Murray Bushrangers will be looking to notch up their fourth win of the season, making for a good contest across the ground. The Rebels will be pleased to see the likes of forward, Renee Saulitis and talented midfielder Stephanie Glover – who has predominantly played in defence – both take the field for their clash against Murray. But the Rebels have some key outs for the match with Ella Wood joining a number of talented players on the boundary. The Murray Bushrangers will be looking to bounce back after a loss last week. They will be bolstered by the return of key players, Eloise Ashley-Cooper and Chelsea Knight who provide good composure with ball in hand. Unfortunately, Murray will be without some of its most consistent players such as Sophie Damon and Julia Harvey for the trip to Craigieburn. The Bushrangers will be hoping to secure another win for the season and look to climb back into a spot in the top four. After two losses in a row, the Eastern Ranges will be hoping to peg one back against the Gippsland Power who are hot on their heels on the ladder. Eastern will look to the return of Georgia Macpherson and Paige Buruma in the absence of key defender, Abbey Tognazzini and gun forward, Olivia Meagher. A win on Saturday will keep them in the hunt for a top four finish with the end of the season near. The Gippsland Power will be looking to bounce back after a tight battle against the undefeated Northern Knights. Unfortunately, they will be without potent forward, Nikia Webber, who will be hard to replace with her accuracy in front of goal. Gippsland have brought in forward, Sophie Walker to apply some scoreboard pressure, while the Power will continue to look to the likes of star midfielder, Tyla Hanks to provide a spark for them across the ground against the Ranges. The Sandringham Dragons secured their fourth win of the season in round six against the Murray Bushrangers, moving themselves into the top four. The Dragons will be hoping to bring that type of intensity and pressure this week against the Jets, bringing in forward, Taylah Grasso and defender, Grace Bridges to continue their winning streak. For the Jets, their leading goal-kicker, Caitlin Greiser will be absent from their clash against the Dragons on Saturday. The Jets have notched up one win for the season and will be looking to secure their second against Sandringham. 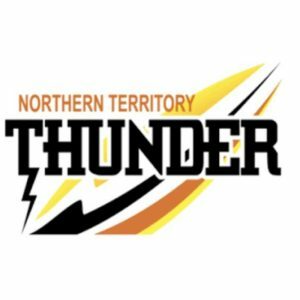 After six rounds of footy the Northern Knights are still undefeated and will be looking to bring that pressure against the Bendigo Pioneers. Playing at home the Knights will want to make the most of their home ground advantage and play an impressive four quarters of footy. The Knights have named scoring machine, Alyssa Bannan and the versatile Abigail Bennett as emergencies, but have brought in the likes of Jessica Fitzgerald and Neve O’Connor to help balance out the team. The Pioneers have won just one game for the season and would love to cause a big upset against the undefeated Knights. Though they will be missing a few major players such as Olivia Taverna and Bree Heiden, they have brought in the likes of defender Sharmaine Reilly for the clash at Preston. The Geelong Falcons are yet to lose a game and will be hoping to continue their hot form against the Calder Cannons. The Falcons have been strong up forward with the likes of Sachi DeGiacomi dominating in front of goal. Though the Falcons may be without one AFLW Academy player Denby Taylor, Geelong have brought in the likes of another AFLW Academy member in Eliza Shannon, which is testament to their depth of players. The Falcons will have to contend with not just Calder Cannons gun midfielder, Madison Prespakis but so too her sister, Georgie Prespakis, which will make for an interesting match up. The Calder Cannons have notched up only one win for the season and would love to claim a huge scalp in the undefeated Falcons. The Cannons will have their hands full trying to contain Geelong but with the return of Makeisha Muller and Laura Cocomello, the Cannons could put up a good fight and create a strong contest. IT must have been the week for small forwards and ground-breaking wins, with a number of fantastic individual and team performances scattered across the TAC Cup, TAC Cup Girls and AFL, to create this weekend’s most memorable moments. Much like the Oakleigh Chargers, Gippsland Power and Western Jets before them, the Dandenong Stingrays Girls certainly celebrated when the final siren sounded at Shepley Oval yesterday. The Stingrays had come so close to victory in the weeks leading up to their round six clash with the Jets, but the breakthrough win finally came after a strong first half catapulted them to victory. Courtney Jones and Isabella Shannon booted two goals each, while Tyanna Smith, Brooke Vernon, Jordyn Allen and Saige Bayne were strong in defence and through the middle. It was a long time between wins but when they win, the Oakleigh Chargers know how to do it in style. They belted Gippsland in round one but since then it has been slim pickings. However on Sunday, the Chargers were back to full-strength and all their top-end talent stood up with Daisy Bateman booting a bag of goals, as Katie Lynch, Hannah McLaren and Nicola Xenos all impressed. They always seem better than the scoreboard reflected most weeks and they finally got reward for effort yesterday. 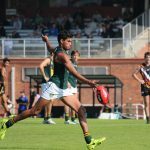 North Melbourne Next Generation Academy talent Tarryn Thomas lit up Shepley Oval on Sunday morning with a three-goal match-winning performance for Tasmania. Thomas was best on ground for the Mariners as they claimed their second victory in as many games, defeating Northern Territory to remain equal first in the overall stakes with Sydney Swans Academy. Thomas’ last quarter in particular was impressive, booting 2.2 and assisting in another goal with a sharp pass. He looked dangerous every time he went near the ball and it is hard for Kangaroos fans not to get excited about the prospect of having him. Just when potential father-son and Academy prospect Nick Blakey seemed to have shown all his cards with a five-goal haul last week, the Sydney Swans Academy tall booted seven in a clear best-on-ground performance in a remarkably low-scoring game. Blakey could end up at North Melbourne or Brisbane as a father-son prospect thanks to father John, or at Sydney under the Academy system. Either way, if Blakey keeps up this form, there will be no shortage of AFL clubs filing for his services. It was heartbreaking in many ways for Northern Knights when Irving Mosquito snapped through a goal with 10 seconds remaining to draw the match. But it was arguably fitting for the match in which provided so many highlights throughout at Morwell Recreation Reserve. The TAC Cup game saw Northern lead for all but the dying moments, when ‘Mozzie’ instinctively played on – much to the horror of some fans realising the time remaining, but he reassured them with a fantastic goal to collect two points for the Power – something which could become crucial later in the season. While it was not a win for the Knights, two points is still better than nothing and they deserved to collect points from their efforts away from home.